Three years ago American Airlines and Qantas announced an expanded joint venture. American was launching Sydney and Auckland service, Qantas Sydney – San Francisco. And they indicated there would be more new routes in the offing as a result of the partnership. They proposed to extend their partnership to coordinate schedules and pricing and share revenue on Pacific flights (but not Hawaii routes). The Obama administration said no. They didn’t believe there would be greater growth in service compared to what they expected to happen anyway which was a novel approach. Qantas and American withdrew their application rather than having it rejected. American claimed it would stop flying to Sydney if their application wasn’t approved. That turned out not to be true. Qantas said they’d reduce U.S. flying without approval. Also false. With Donald Trump as President and Elaine Chao as Transportation Secretary American and Qantas expected a more favorable climate to resubmit their application. They resubmitted in February. In July American said they believed the Department of Transportation was taking its time rethinking its approach to joint ventures. 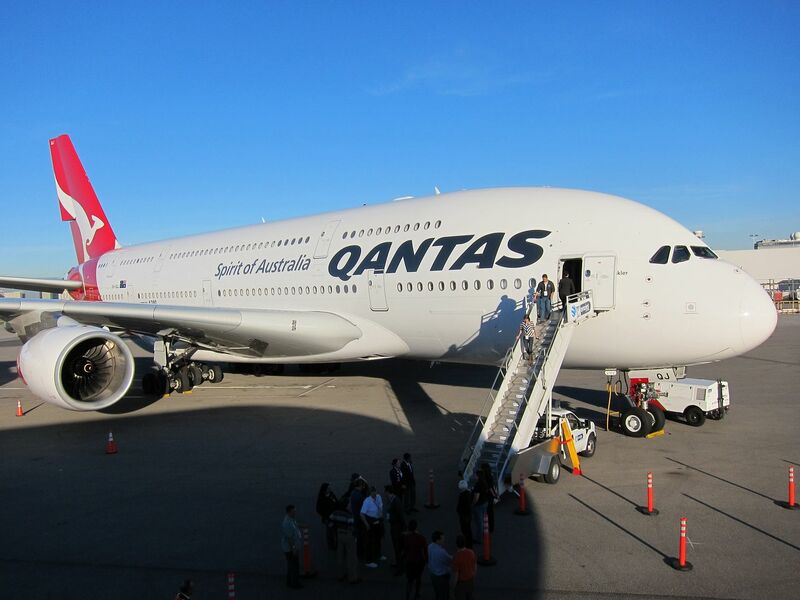 When Qantas announced new Melbourne – San Francisco service without a joint venture in place a year ago it surprised me. Under the theory the DOT used under the Obama administration that pretty clearly suggests granting anti-trust immunity to American and Qantas to set schedules and pricing and share revenue isn’t necessary for new routes. Indeed Qantas in public statements has been upbeat about potential non-stop long haul service to more U.S. cities with new longer range aircraft coming online. The bet here here is clearly just that the DOT is different — not that they have better arguments now than they did a little over a year ago. Qantas ramped up its US lobbying to support the effort. And they’re again saying they’ll reduce service if the joint venture isn’t approved. This past week at an American Airlines employee forum the carrier’s President Robert Isom said he believes they’ll get approval next year. We’ve re-filed and there’s been another stage of information requests that we’re complying with and that we’re allowing to pass through here. We feel really good about where things stand. We’re going to have to let the process work its way out. Our hope is that sometime in 2019 that we get approval for joint business then we’re off to the races. I have a conversation with the head of Qantas international every month to check on the relationship in general and where we stand. They are committed, we’re committed, it’s a key to our flying in the South Pacific and Australia. It really is something that’s important. My view is sometime in 2019 we’re going to have this approved and ready to go. Joint ventures are a workaround in a world where countries don’t allow significant foreign ownership of their airlines. But they shouldn’t be permitted without also allowing new entrants into the market. Government policy here is biased towards less competition, when it shouldn’t be biased in either direction. Still there’s no good reason why Qantas and American shouldn’t be able to cooperate, American wasn’t even flying to Australia before the announcement of this deal, and together they compete against United-Air New Zealand and Delta-Virgin Australia. Sure they’re a larger player than those competitors, but only because Qantas is larger. There’s no reason Qantas ought to be precluded from working closely with an American carrier just because it’s already successful flying to the U.S. Very interesting post- I didn’t realize there was so much politics involved with airlines merging and their routes. Absolutely no reason Not to Allow the JV esp when UAL and DL have theirs to Australia. These flights are very long haul segments and need all the connectivity that can be set up. How is this false? The application couldn’t have been approved if the airlines withdrew their application. With a new administration coming into the White House, they knew that it would be better to withdraw and resubmit under a new administration. If the current administration says no, then let’s see what happens. There is an awful amount of capacity going down under. Wouldn’t be surprised to see routes dropped if it gets denied.